EMB mains filters provide “clean” signals. They limit electrical faults in the public mains supply network and protect electronic devices against interference from the network. We precisely tailor the inductors and capacitors used to your requirements so that common-mode interferences in particular can be effectively suppressed. 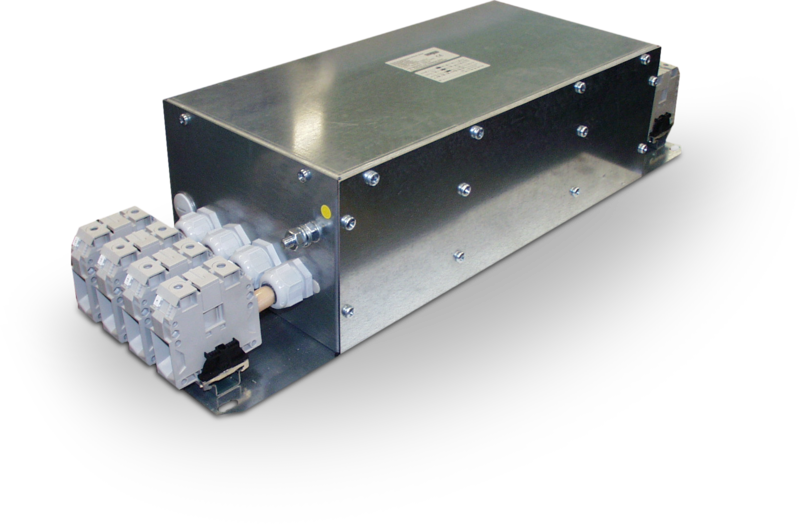 The commonly used switching power supplies produce high voltage rise speeds that cause accelerated wear to the insulation materials and lead to distortion of the pure sine-wave. EMB supplies a wide range of sine-wave filters in order to combat this.